Sight, sound and smell – these three senses are critically important for animals to live and thrive in the wild. Each is highly refined in both game and predatory animals, whose survival depends on the effective use of these senses virtually everyday of their lives. Hunter generated stimuli from any two will trigger the flight response in most animals, but which of the three senses is most important? Arguably, smell ranks first as the top survival sense for game animals, and it’s the most difficult one for hunters to evade. When deer hear you, they will typically freeze while focusing their radar in the direction of the sound, but if they smell you they will vanish almost immediately. When a bear spots your movement, it will often stand and/or change position for a better view, but if it smells you, it’s gone. Several times I have watched elk bedded more than 600 yards away become nervous, and then quickly vacate the area when a sudden wind shift carried my scent down to them. Want more proof? Like many hunters, I own the best camo clothing available from companies like Sitka Gear, Mossy Oak and Realtree, and use it hoping to fool the sight sense of my quarry. Yet, I have taken gemsbok at 49 yards, bushbuck at 36 yards and an incredibly wary impala ram at 22 yards on foot in Africa, without the benefit of camo – but not without scent control measures. And, despite the legendary hearing ability of mule deer, with some gear soundproofing and a pair of extra-heavy wool socks, I have taken several mature bucks inside 40 yards while smelling invisible. Hunting in Africa is often done without camouflage clothing. Hunting with a bow on foot however, requires a good measure of scent control. While some hunters are fanatical about scent control, it’s surprising that many hunters either pay little attention to the concept, or are spotty in its application. I usually hunt with limited range weapons like bows, muzzleloaders and even airguns, so scent control is a high priority for me while hunting and in my hunt preparation as well. Consider that a bloodhound’s nose is thought to be as much as ten-thousand times more sensitive than a human’s, and that a bear’s nose tops this by 700 percent! Black bears have been observed following the scent of a carcass for 18 miles. Whitetail are believed to be able to detect human scent more than a half-mile away, and my personal experience indicates that elk are not far behind. Thus, even the current legion of “long range” hunters would be wise to practice good scent control. So, how do you defeat the nose of a deer or elk or bear? You don’t – but you can increase your odds for hunting success by utilizing some or all of the scent control options that follow. 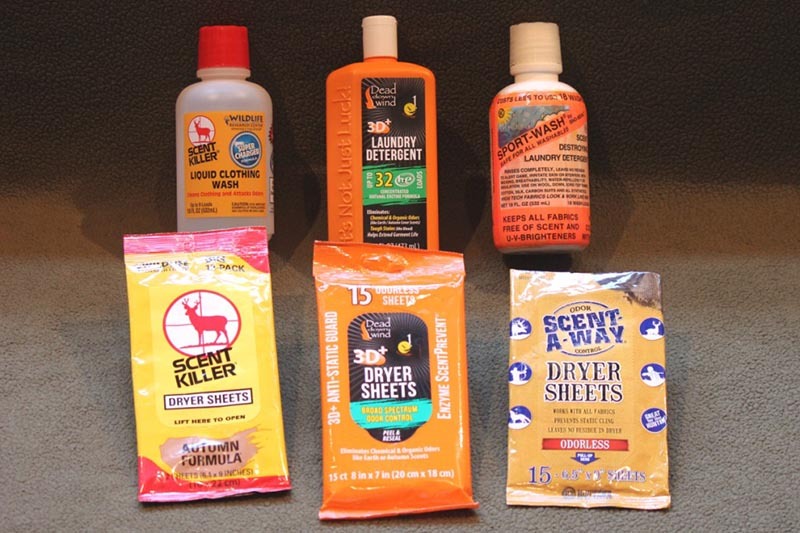 The first order of business with scent control for hunters is good personal hygiene. The hunter’s day should start with a good shower whenever possible. Body soaps and washes that eliminate odor causing bacteria and leave no residue on the skin and scalp are a good start. Hair shampoos and conditioners must be free of perfumes and rinse away completely. After showering I always apply an odorless underarm antiperspirant as well as an odorless powder to feet and groin area for added moisture control. On multi-day remote hunts without showering facilities, I wash my hair in a bowl or bucket and bathe with minimal water – sometimes just a wet towel – using the same soaps and shampoos. Hunter’s Specialties Scent-A-Way Body Soap & Shampoo and their extended protection Anti-Perspirant are long-time favorites. Dead Down Wind’s Body & Hair Soap with patented Enzyme Scent Prevention (ESP) technology also yields excellent results. Don’t forget oral hygiene, which represents a significant source of odor for most hunters. Be sure to brush teeth with a flavorless odor control dentifrice like Dead Down Wind’s ScentPrevent Toothpaste with ESP, particularly after that morning cup of java. A combination of baking soda and hydrogen peroxide also works, brightening teeth while it kills odor causing bacteria. The goal here is to be as odorless as humanly possible when leaving for the hunt area. Scientists believe that whitetail deer can distinguish up to 6 different odors simultaneously. Thus, if you already “stink” when entering the woods, other odor control measures – like wearing a carbon suit, or spraying down with a cover scent – will be less than maximally effective. Personal hygiene products – bar soap, anti-perspirant, liquid body soap and shampoo & conditioner. It’s hard to believe, but a quarter century has passed since the first carbon-core clothing for hunters was invented by ScentLok Technologies. Despite disbelievers and lawsuits over odor control claims, the technology and the company have stood the test of time in a fast-paced, ever-changing industry. Why? In my opinion – based on nearly 25 years experience – because their products work! On at least 3 different occasions, elk have approached close enough for me to touch them while wearing ScentLok. A cow with a calf once nibbled the hood on the back of my neck while I was hidden in a natural ground blind, and another blew snot on my face and chest after looking directly into my eyes at a distance of less than 3 feet! On a platform stand in Iowa only 10 feet off the ground, a pair of 3-year old whitetail bucks circled my position – a full 540 degrees as close as 9 yards – before walking off in the direction they were originally headed. They knew something wasn’t right, but they never picked me off. 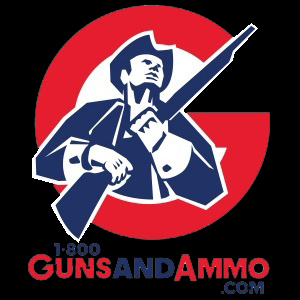 In addition to ScentLok, carbon-core clothing and a full line of accessories are available from Scent Blocker. Author arrowed this 19-point non-typical whitetail buck at 17 yards only 30 minutes after being circled at close range but not busted by two other bucks. Thank you ScentLok! One of the mistakes made by hunters using limited-range weapons that I often see in the field is not covering their head and neck areas, where a significant amount of odor emanates. Despite the discomfort during warm weather, I always wear a scent-control hood when hunting with a bow or other limited-range weapon – particularly when stand hunting, still hunting and/or tracking. True, you may sweat more and your hearing may be impaired slightly, but the odor reduction trade-off is worth it, in my opinion. I also wear scent control socks and gloves, as well as an antimicrobial base layer while hunting, in all but the warmest weather. When I started hunting more than 50 years ago, laundry detergent options were limited to Tide, Oxydol, Ajax and various soda crystal formulations. And, on several occasions over the years I have washed my clothes with baking soda in a clear running creek while hunting in remote locations. Today, we have a variety of odor-free detergents specially formulated for washing hunter’s clothing. Some, like Primos’ Control Freak Laundry Detergent are safe for use in high-efficiency washers and others, like Dead Down Wind’s bioengineered formulation contain enzymes and chelating agents for stain removal and both scent and Ultra-Violet protection, with low fiber impact to prevent fading and protect expensive camo. It’s important to note that both washers and dryers can cause odor contamination, so Dryer Sheets that contain odor eliminating ingredients in addition to their anti-static properties should also be used. For this reason, I currently use the Primos or the biodegradable Dead Down Wind brands of dryer sheets. Laundry products include both detergents and dryer sheets. The best control static and neutralize odors as well. After washing, it’s important to store hunting clothing as well as hunting accessories like backpacks where they will not be contaminated with odors that will alert game when the time comes to use them. Airtight plastic containers or specially designed scent-proof bags are ideal. I like Dead Down Wind’s All Purpose ScentPrevent Bags, which have large carrying handles for easy transport from home to field, and Primos makes a similar tote. With clothing that does not contain a layer of carbon, I like to toss a cover scent wafer in the storage container with the clothing. Hunter Specialties makes these in a variety of natural scents, like Fresh Earth and Western Sage. Field sprays are the most popular of all scent control options. The last thing I do before leaving my camp or vehicle is to spray all equipment I will take into the field as well as all of my outwear, paying particular attention to headgear and footwear. And, I always carry a small spray bottle with me in the field for touch-ups as needed. Although I personally use gallons every season, I consider these to be the last line of defense. While “cover scents” simply displace one odor with another that is hopefully less offensive, scent eliminating formulations are typically tested by their manufacturers and scientifically proven to control odors – at least to some degree. Some products address a broader spectrum of odor molecules (human, smoke, gasoline, exhaust fumes and other synthetic contaminant odors) than others. 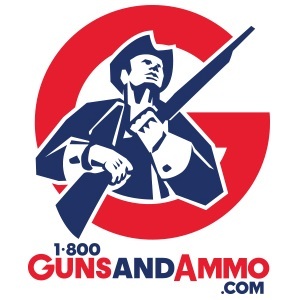 The advertising claims of some have been so “over-the-top” that court challenges resulted. Every hunter’s personal habits, body chemistry and bacterial flora are different, and some odor molecules are more complex and difficult to neutralize than others. My six years of university science (biochemistry) and personal experience help confirm the fact that different formulations will vary in their effectiveness from one individual to another – so it’s a good idea to test a variety of products to see which works best for you. 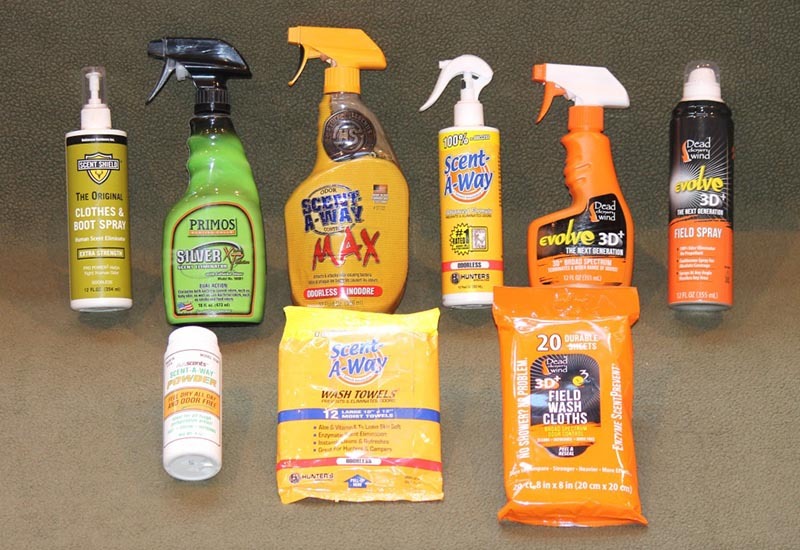 Popular scent control products for use in the field – pump sprays, odorless powder and disposable field wipes. Field wipes that cleanse and deodorize are my favorite field-use product – in fact, I made my own until they became commercially available. You will never find me in the field without a package of these. When stalking in close or tracking, particularly in warm weather, I carry a couple of wipes in a thin zip-lock bag in an easily accessible pocket, and pause to wipe my face and neck regularly. Scent-A-Way Wash Towels have always worked well for me, and recently I have discovered that Dead Down Wind’s enzymatic Field Wash Cloths are very effective. Comparable handy “wipe” products are also available from Wildlife Research in their Scent Killer line, and ScentBlocker. Whitetail hunters are often fanatical about controlling foot odor, wearing over-the-calf rubber boots for scouting as well as hunting. In the mountainous West where I spend a great deal of time hunting, rubber is less popular for hiking all day, climbing in rocky terrain and trekking through snow. Feet often sweat with activity, and this moisture fosters bacterial growth. Footwear used for hunting provides the ideal environment for the resultant odor to pool, and this can defeat other odor control measures the hunter has implemented. A number of manufacturers like Under Armour, Russell and Rocky now make odor control footwear for hunters, and I recommended the Irish Setter Vaprtrek models with ScentBan in my Gift Guide for Western Big Game Hunters late last year. Whether your hunting boots have built-in odor control or not, it’s a good idea to wear them exclusively for hunting, and to dry them thoroughly each time they are used. For this reason, I take 2-3 pairs of boots on every hunt, and alternate to allow drying and deodorizing. After drying, I apply an odorless powder like Scent-A-Way inside the boots as well as on my bare feet. My feet sweat easily, so I also wear wicking socks that help with this problem and offer some degree of odor control as well. Scent control socks are available from dozens of manufacturers, like ScentLok. For best results you should experiment to see what works best for you. 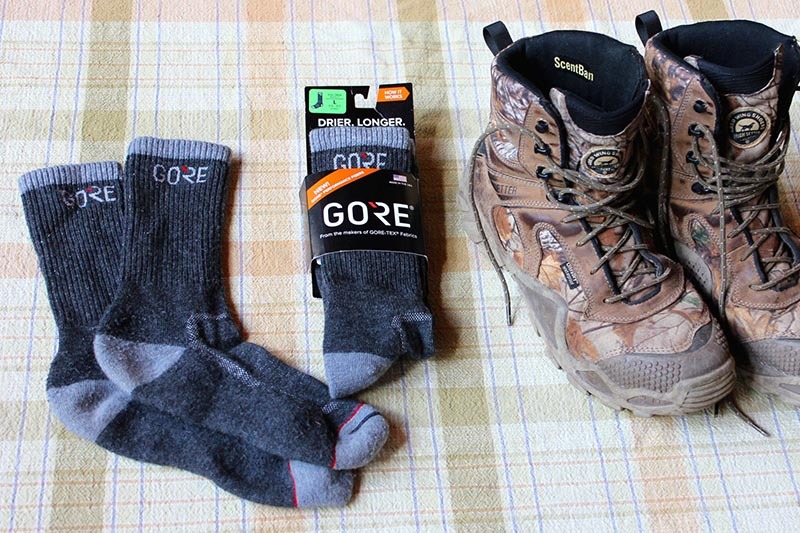 A new premium hunting sock is available from the makers of GORE-TEX fabrics, called GORE. Their sales rep at one of the hunting shows earlier this year swore that you can wear these everyday for a month with no distinguishable odor! Although I have not tested his claim, I purchased some and have been quite impressed with the results so far. Ozone (O3) is a naturally occurring colorless gas that is also a powerful oxidizing agent. Oxygen (O2) in the air is converted through ionization to ozone by lightning. That fresh “clean” smell after a thunderstorm is the smell of ozone, which acts to purify the air we breathe. It is used commercially to kill bacteria and purify drinking water as well as the air in hospital rooms and restaurants. It is also used to remove the smell of smoke and mold from buildings and to eliminate nuisance odors caused by animals. Ozonics manufactures small ozone generators for hunting applications that saturate the “scent-zone” downwind of the hunter’s location with odor destroying ozone. Much like the fragrances released from flowers, human odors have complex unsaturated molecular structures that react readily with ozone and are thus neutralized. Scent Crusher makes an air cleaner for your vehicle called Ozone Go, also mentioned in my recent Gift Guide noted above. This small unit is designed to destroy smoke, pet and food odors in as little as 30 minutes while driving to your hunting location. The company also makes a large gear bag with internal ozone generator designed to deodorize clothing and gear zipped inside within 30 minutes. There’s a good chance this item will be the next added to my personal scent control arsenal. Hopefully, I’ve convinced you that scent control while hunting is more about establishing a regimen than any individual odor control product. Nevertheless, it’s practically impossible to “smell invisible” in the wild without using some of the great products mentioned here.